First time ever available, this villa, in highly sought after Isla Vista enclave, is a must see. From the moment you open the door, you will be mesmerized by the spectacular views, expansive pool and fenced garden, drawing you outside. Golfers will relish the long lake, palm tree and beach views of the 4th Green & 5th Fairway. The gracious and open plan living offers a gourmet kitchen, overlooking the family room and casual dining area, and a wall of sliding glass doors which disappear to encompass the outside kitchen and covered dining area. The study has stunning, bespoke cabinetry and hand-scraped hardwood floors. Adjacent to the kitchen is a fabulous â€œkitchen officeâ€ for the lady of the house leading to a large laundry/utility room and pantry with Sie Matic cabinetry and marble counter tops. The master suite is a calm and beautiful retreat with high ceilings and concealed lighting. Natural light pours in through the large windows and you are just steps away from the pool and spa. Hand-scraped hardwood floors, large â€œhis and herâ€ custom closets and a spectacular marble bathroom complete the scene. 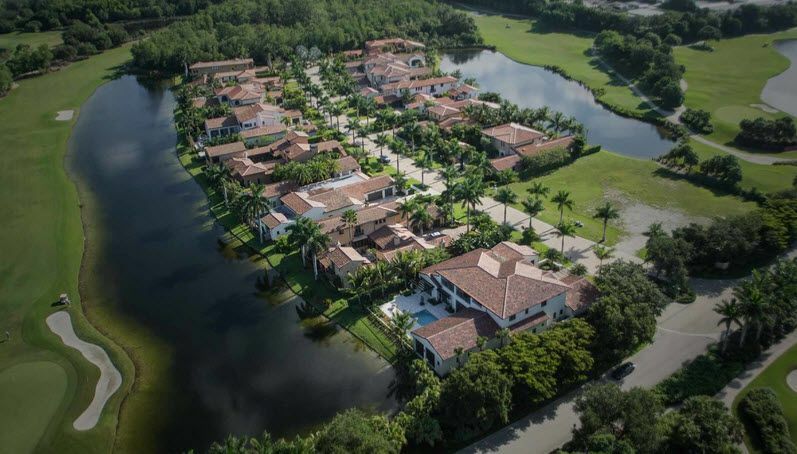 All of this in the heart of Naples in the world-class, Grey Oaks Country Club. I would like more information about 2037 Isla Vista LN Naples, FL 34105 MLS #219028308.